Residents or patients in nursing homes, hospitals, and long-term care facilities rely heavily on their nursing assistants for support. Certified nursing assistants work under the supervision of a licensed nurse or physician to administer direct care services. In preparation for the role, a prospective CNA must complete at least 100 hours of classroom and clinical training to acquire the skills to manage patient needs. The program will cover topics such as the role of the nurse aide, observation and reporting, medical terminology, infection control, basic nursing skills, vital signs, patient hygiene, communication, and rehabilitation and restorative techniques. Upon completion of the nursing assistant program, graduates will be eligible to take the state certification exam for placement on the Pennsylvania Nurse Aide Registry. 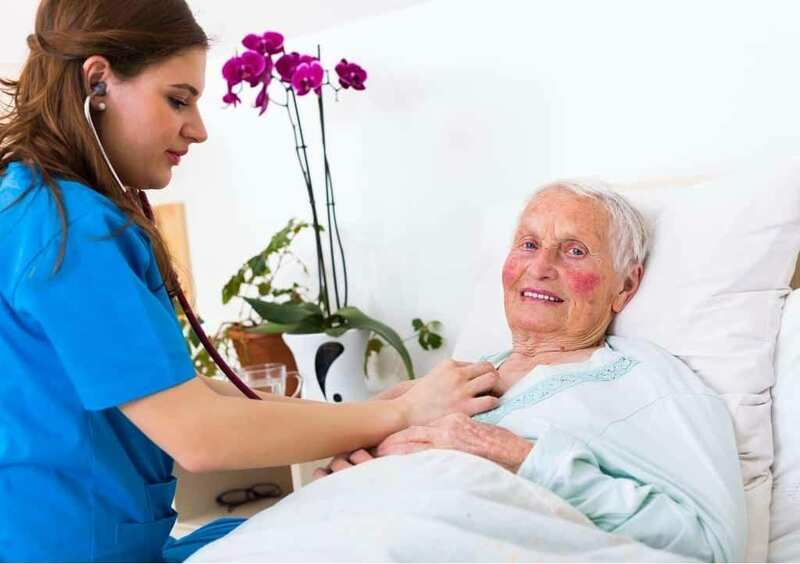 Following is a list of state approved nurse aide programs in Allentown, PA.
Lehigh Career and Technical Institute prepares nursing assistant students to fill a growing demand for healthcare professionals. The Health Occupations program exposes students to a diversity of health careers and prepares them for entry-level practice as a Patient Care Assistant or Certified Nursing Assistant. Graduates are eligible to take the state certification exam for nursing assistants and continue their education in a health-related program at a college or university. Courses covered in the program include human anatomy, communication and interpersonal relationships, care for the elderly, medical assisting, basic nutrition, medical terminology, medical records, and medical records. American Red Cross or American Hearth Association First Aid, CPR, and AED BLS are included in the program. Lehigh Carbon Community College prepares nursing assistant students for state certification. Graduates of the diploma program are eligible to apply for the nurse aide competency exam for inclusion on the Pennsylvania State Nurse Aide registry. A combination of classroom and clinical experiences help students develop an understanding of legal and ethical issues in practice, medical terminology, nutrition and feeding, emergency procedures, patients’ rights and independence, infection control, proper communication techniques, personal care, and functions of human body systems. Applicants must attend an orientation session before enrolling in the program. Daytime and evening schedules are available. The average duration of the program is 6 weeks. Tuition is $1,097. The Nurse Aide Program at Northampton Community College comprises of 128 hours of intensive study. Students gain the knowledge and competency to succeed on the NNAAP for placement on the Nurse Aide Registry to practice as a nurse aide in a long-term care facility. Applicants must be 18 years or older, complete a Pennsylvania criminal background check and FBI clearance – for applicants who did not reside in the state for the past two consecutive years. Other requirements include a completed verification of residency form, health form with physical exam, two-step TB test, high school diploma, and personal health insurance. The course tuition is $1,100 and includes textbook. Students must budget for uniform, clinical supplies, and the state exam.